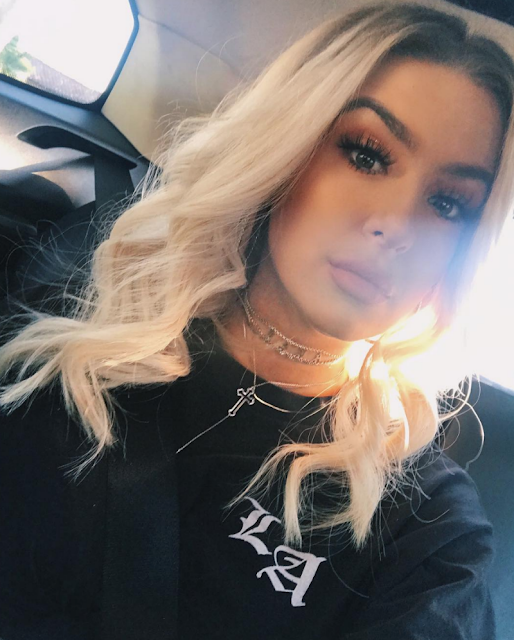 YouTube star Tana Mongeau has received backlash from social media after her planned convention for fellow creators and fans was reportedly shut down due to an overwhelming response in attendance. The event, called TanaCon, was to be held on Friday and Saturday (June 22 and 23), Just Jared Jr. explained. The weekend was set to feature appearances from Bella Thorne, Shane Dawson, Miranda Sings, and surprise guests. Tana's conference fell on the same weekend as another creator conference called VidCon, a decision that was purposeful, according to the YouTube star. She had previously explained her issues with the convention, and had also called out VidCon for not giving her a featured creator badge during a past event, Polygon noted. TanaCon did get underway on Friday, but some fans waiting outside to get in started experiencing sickness due to the heat, according to Polygon. As the day went on, fans who hadn't registered began showing up in an attempt to enter the event. Tana addressed some of what was happening outside on Twitter, writing: "Straight up, there are 20,000 people outside so we are doing everything to get AS MANY people inside as the venue as we can as safely as possible and are doing our best to extend to another day for free completely my loves." She later shared that she was "sending hundreds of employees outside to separate the crowd from people with tickets already and people without to get as many people inside as possible!" Despite continued tweeting with updates, the YouTube creator later revealed that the event was being shut down due to "unsafe conditions." "I just want to reiterate 20,000 people showed up outside which is unsafe anywhere and security and safety is my number one priority. We were told vidcon itself was holding around 20,000 and we are so mind blown," she tweeted. In additional tweets, she expressed her hope to possibly move the event to another venue for Saturday. Some fans told Polygon that they were instructed to arrive between 6 and 8 a.m. in order to register for the event, which reportedly contributed to the hours of waiting outside. "There wasn’t any sort of information, or any sort of ‘this is taking a while, let’s do something to not make it so bad.’" a fan named Megan said. "It’s just, like, ‘This is a problem and we’re going to have to deal with it now.’"
Early Saturday morning, Tana tweeted that the event had been cancelled and refunds would be given to fans. In a statement issued by Tana's management company Good Times, the company addressed the cancellation and cited safety as the reasoning behind their decision to prematurely end the convention. Tana also tweeted, writing,"I should've prepared better. Regardless of if people were telling me different, TanaCon is attached to ME. And I take full responsibility." Fans quickly reacted to the news, and some compared the event to Fyre Festival, last year's "luxury music festival" that was cancelled the same weekend it was supposed to take place. One user on Twitter questioned the planning behind the weekend, tweeting, "This is what happens when you don't have any clue about the logistics of running a con and think you can in a few months. The reason VidCon and other popular cons are successful is the established infrastructure they have which leads to annual repeatability." However, other fans stood up for Tana. "Imagine being 20 years old and trying to make everybody happy," one person wrote. "She truly loves all of you so much and she’s so heartbroken that this didn’t work out." Fellow YouTuber Raphael Gomes tweeted: "You’d have to be a fool not see how deeply you cared for viewers and creators. It broke my heart seeing how things went down. But sign me up for whatever con is next, I’ll be there to show my support bc I believe in your vision more than I ever believed in any other big company💛." Although the inaugural TanaCon did not go as planned, Tana has already expressed her hope for holding another event in the future, tweeting, "Until things got chaotic, it was everything I wanted and more, and I'm excited to create that atmosphere again in a different place."